Training programme International Deans’ Course celebrates its tenth anniversary with a great symposium in Berlin. The IDC-Team Africa and Southeast Asia met at the anniversary conference to exchange with representatives of the DAAD, the HRK and the colleagues from the universities of the Saarland and Alicante in Spain who jointly offer the IDC for the Latin American region. A working higher education system qualifies well-educated graduates that contribute to the development and economic progress of a country. For many developing countries the setup of higher education institutions is still in progress and they struggle with qualified teachers, resources and education as well as research quality. For ten years by now, the Osnabrück University of Applied Sciences offers the International Deans’ Course (IDC) for deans from African and Asian universities. This training programme enables the deans to perform more successfully on the middle management level and to control processes more effectively. For the anniversary celebration at the end of November, about 150 officials and alumni gathered to evaluate the IDC’s achievements and discussed the future of successful qualification for deans. Project director Prof. Dr. Peter Mayer from the University of Applied Sciences stressed that: "Universities in Africa, Asia and Latin America face great challenges, especially the higher education and faculty management are challenged to master great processes of change. It is a laborious task to work on." "With the anniversary conference we also appreciate the IDC’s successful and longstanding cooperation of several institutions", emphasised Mayer. 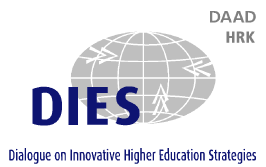 The IDC is a programme within the “Dialogue on Innovative Higher Education Strategies (DIES)”, coordinated by the German Academic Exchange Service (DAAD) and the German Rector’s Conference (HRK). The project partners include – additional to the Osnabrück University of Applied Sciences – notably the Centre for Higher Education Development (CHE), the Alexander von Humboldt Foundation (AvH) and the Freie Universität Berlin. In his address of welcome, the general secretary of the HRK Dr. Jens-Peter Gaul spoke in high terms of the initiative and pointed out the important role of the deans for successful higher education management. The general secretary of the DAAD Dr. Dorothea Rüland underlined the significance of the already ten-years-lasting programme for the development of the higher education in Africa and Asia. Prof. Dr. Frank Ziegele, Executive Director of the CHE and member of the programme's expert team since its very beginning, remarked the International Deans’ Course’s important contribution to the professionalisation of higher education. Prof. Dr. Christiane A Onyango, deputy rector of the Taita Taveta University Kenia summarises that: "The partners of the IDC are highly experienced in the management and leadership of universities – this applies to all levels. With their resources and extensive networks, they provide us with a specialised qualification for our tasks as deans. This enhances not only our individual efficiency, but has a positive impact on the whole university." "The success of the IDC demonstrates that for years, our special expertise in the area of higher education and science management are explicitly requested nationally and internationally. This suits the overall very international profile of the faculty of economic and social sciences. Currently, students from 41 countries learn on our campus", emphasised Prof. Dr. Sabine Eggers, Dean of the Faculty of Business Management and Social Sciences in Osnabrück. By now, about 300 deans from 20 different African and South-East-Asian countries finished the IDC. 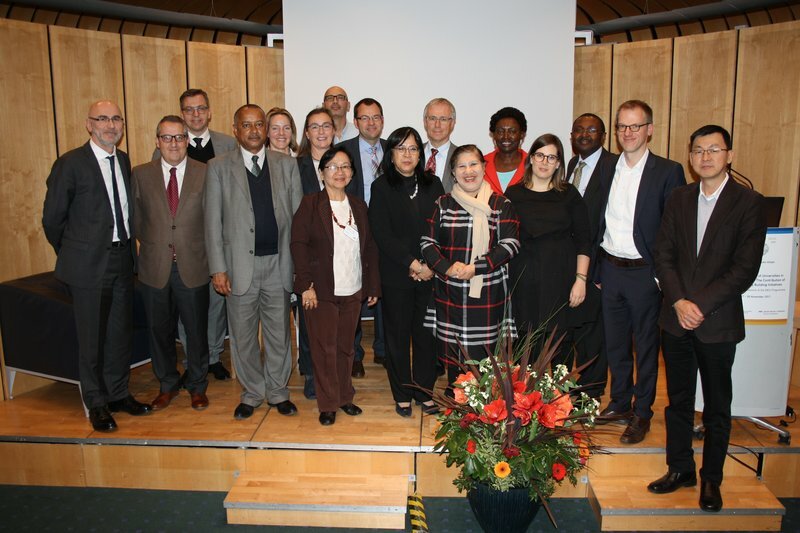 "Strengthening the Role of Universities in Developing Countries – The Contribution of Leadership Capacity Building Initiatives", Berlin, 27-28 November 2017 More than 130 higher education management experts from industrialised and developing countries came together on 27 – 28 November in Berlin to discuss common and specific challenges surrounding adequate strategies and the training of the responsible staff.